Cordobeses: The absolute top reason we love Cordoba is the people we’ve met. Cordobeses have a well deserved reputation for being some of the friendliest Argentines. The generosity and willingness to embrace our family has been astounding. Our house, entrance to the boys’ school and Erica’s job have all been possible only due to the kindness of the people we’ve encountered. The character of Cordobeses have allowed us to truly become a part of the community as we experience school, work, birthday parties, asado, family gatherings and sports. Where else would a taxi driver return an expensive camera a week later? 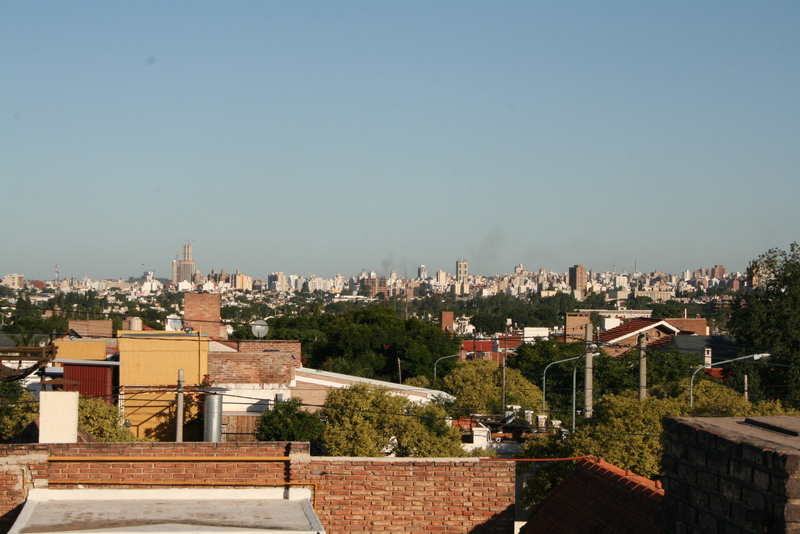 Where else are you invited to their home for an asado 10 minutes after meeting for the first time? Language: The Spanish spoken in Argentina is commonly referred to as Castellano. It’s a distinctly different sound than the Spanish spoken in Mexico. The accent in Cordoba is unique as well. The sing-song intonation of Castellano is beautiful to hear, albeit muy rapido mucho veces. Moreover, we love the fact that very little English is commonly spoken in Cordoba. We came here to immerse and learn the language and Cordoba is a perfect city to force us all to speak Spanish. This point was reinforced during our travels to Patagonia and Buenos Aires in January where English was widely understood. In Cordoba, we’ve grown accustomed to the stares and second looks when we speak English. Nearly everyday we are asked, “de donde son?” Our presence here is unique and people are genuinely interested to listen to English, as evidenced by the crowd of kids that gather around us when we speak to the boys at school. In Cordoba we need to be ready to speak Spanish at every turn, for every task, no matter how minor. It can be exhausting, but it’s an effective way to learn. We’re also thrilled to hear locals tell us that the boys have picked up the Cordobese accent. Climate: We have loved most aspects of the weather in Cordoba so far. We wanted to live in climate far different than Portland. For the most part, that means warm and dry as opposed to wet and dreary. Winters are dry and windy here. Summers are hot and sometimes humid with regular thunderstorms. The electrical storms in the spring and summer have been unbelievably powerful. Continuous cracks of lightning and thunder rattle the house followed by sheets of rain and hail. Given how much we walk, we’re fortunate that the rains that turn the streets into rivers are fairly infrequent and dry up quickly. The region has gone from brown and drought-ridden to flooded and lush in our time here. We have been told this year has extreme for the region with record-breaking heat, wildfires, giant hail, flooding and even an earthquake! With the exception of some miserably hot and humid days in December and January, we have loved waking up to beautiful, sunny days that seem the norm here in Cordoba. Neighborhood: While researching our trip, we’d read about Cerro de Las Rosas and Urca on some expat forums. These adjoining barrios lie about 20 minutes by bus to the northwest of downtown Cordoba. It is a middle to upper class neighborhood that is crisscrossed by major bus lines and is extremely walkable. To the horror of our friends here in Argentina, we have been determined to go sin auto for the year, and it would not be possible were it not for the convenience of our barrio. We’re blocks away from a great park, ice cream, meat market, vegetable stand and school supply store. We walk 2 blocks to drop Molly at ballet and Ben at karate. Our longest regular walks are to the boys’ school and grocery store (Disco, aptly named). It’s a safe and relatively quiet area outside of the usual blaring alarms and dogs. The Sierras: To the north and west of Cordoba lie the Sierras de Cordoba. We have loved our limited excursions to some of the towns that dot the mountains nearby. The Sierras remind us of Nevada in a way. Far from alpine, the Sierras tend to be more desert and scrub. We’ve been able to visit La Cumbre, Mina Clavero, Jesus Maria, Nono, Capilla del Monte, Villa General Belgrano and Ongamira. The bus system is wonderful and cheap, allowing us to avoid expensive car rentals most of the time. 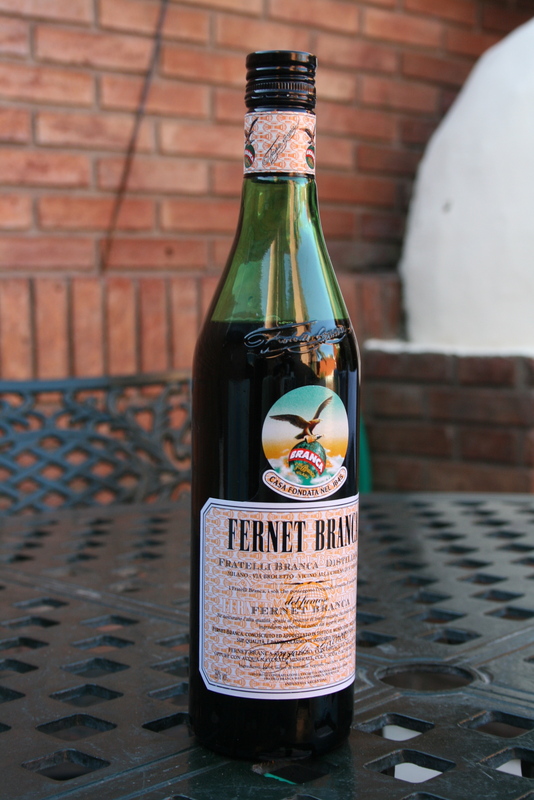 Fernet & Coke: While definitely an acquired taste, Cordobeses love their Fernet and Coke. Erica’s description of this Italian digestif is that it tastes like jet fuel and Grandpa cologne. Accurate for straight Fernet to be sure. However when mixed with Coke, you have a sweet yet bitter cocktail. I must admit I only tried it first as a novelty, but it’s truly grown on me. This entry was tagged argentina, Castellano, Cerro de Las Rosas, cordoba, Cordobeses, family sabbatical, Fernet, learning Spanish, National Geographic Traveler, Portland, Sierras, Spanish immersion, teaching abroad, travel, Urca. Bookmark the permalink. Didn’t the neighbors have Fernet one night (at Eric and Autumn’s) and we all agreed that it tasted like “old man wallet”? That sounds awesome though. I will generously let you make me one when you are back in Portland and experiencing Summer number 2. Yup, Autumn introduced us to it but we didn’t know about Coke! Get ready Ingrid!